The experience of being immersed in a real commercial flight will give you the impression you’ve flown the real aircraft. Sit in the pilot’s seat and fly the the world without ever leaving the ground. But when you’re done, the simulator will make you feel like you’ve flown a real commercial jet with a full crew onboard. The most amazing and real flight simulator you will experience! 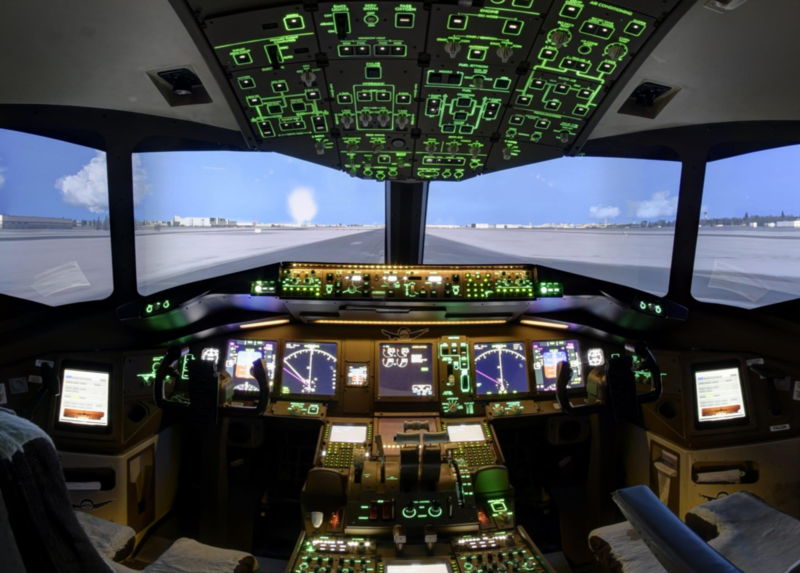 A pilot will be with you to provide pre-flight briefing and hands-on guidance in the simulator. This price is for basic flight over Toronto only. Does not combine any other offer, call us for specific quote.. Sit in the pilot’s seat and fly the the world without ever leaving the ground. But when you’re done, the simulator will make you feel like you’ve flown a real commercial jet with a full crew onboard. The most amazing and real flight simulator you will experience! A pilot will be with you to provide pre-flight briefing and hands-on guidance in the simulator. 1. Simulator assessment not included in this price. 2. This price is for basic flight over Toronto only (For a small fee you can add extra upgrades for different airports or procedures if you like). 3. Does not combine any other offer, call us for specific quote. 4. The booked date or time is subject to confirmation, and eventually you may be asked to change. Tenga en cuenta: Le enviaremos un email de confimación con el enlace de su voucher una vez que haya confirmado la compra.